Back in November I headed to the Lake District for what had been planned as 4 days of photography became only 2 due to the incessant rain. It was still good to get up to the Lakes and explore, and of course I would have loved to have spent longer in the Lake District, but when you are working out of a camper van, there is only so much damp wet clothes that you can put up with. 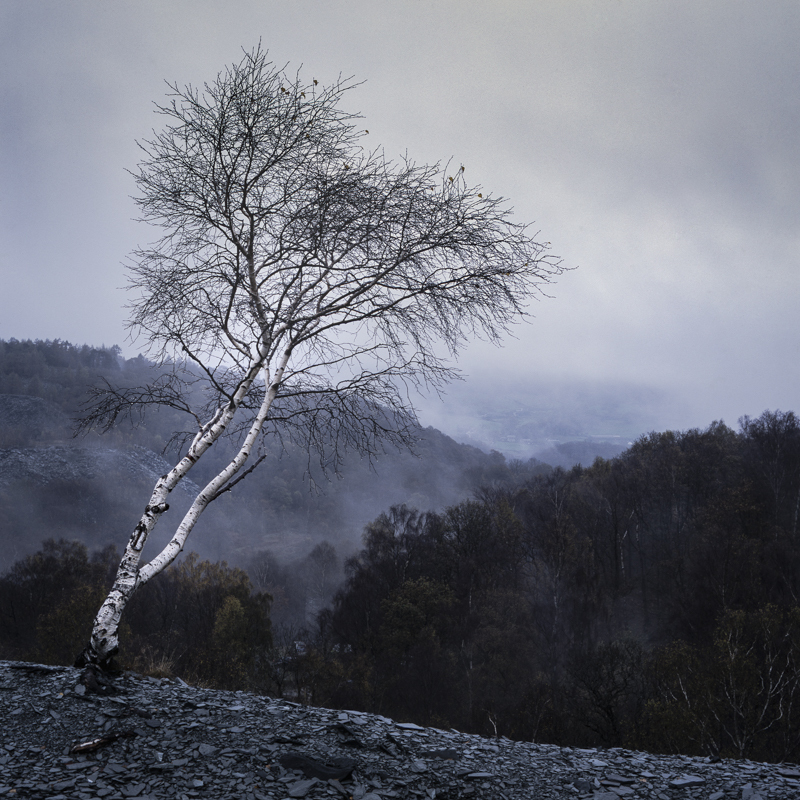 This photograph was taken early on a misty morning at Hodge Close, a landscape photographer’s paradise, with a lot of variety on offer. The view of the tree, the mist and a brief glimpse of the valley beyond with the Three Shires Inn in the distance was irresistible. You can see this photograph full sized and uncropped in my Autumn gallery.